What a remarkable day this has turned out to be, and how wonderful it has been to get to experience it here at ICHEP in Melbourne! As I remarked in the live blog, I knew coming in what the CMS results were — that we clearly had a strong signal for a new particle, and that as far as we could tell, it looked like the Higgs boson — but I didn’t have a clue about what ATLAS was going to present. And now we know: a totally independent experiment has made essentially the exact same observation. We can say without a doubt that we have discovered a new particle, and better still, it seems to be the one that we have been waiting for, for something like fifty years. It was clear that everyone came into this seminar hoping that this would be the case. I must say that I did not expect that there would be a spontaneous round of applause as soon as “5σ” appeared on a slide. (Maybe I should start writing that on my slides, just to see what would happen during the presentation.) Five standard deviations is ultimately an arbitrary standard — what makes it better than six, or five and a half? — but it is the standard, and everyone was so eager for a discovery that it was embraced as soon as it appeared, even before all of the results were presented. Of course, we have to remember that we are just getting started, and that as result there is plenty that is unsettled. Does this “Higgs particle” have the right branching fractions? Right now, it seems to have trouble decaying to taus…or perhaps that’s just a downward fluctuation in the data. Does it have the correct spin and parity? We’re going to need more data to answer that. 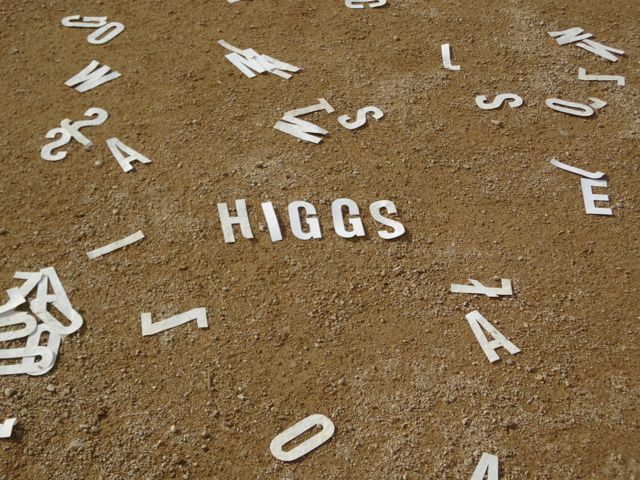 And ultimately, we have to remember that the Higgs is “just a standard model particle,” as a colleague said to me last year. Even if this is the Higgs we were looking for, it still leaves a lot unexplained, as Flip discussed (more elegantly than I would) in a recent post. We think that there must be something out there that helps it have the mass that it has.